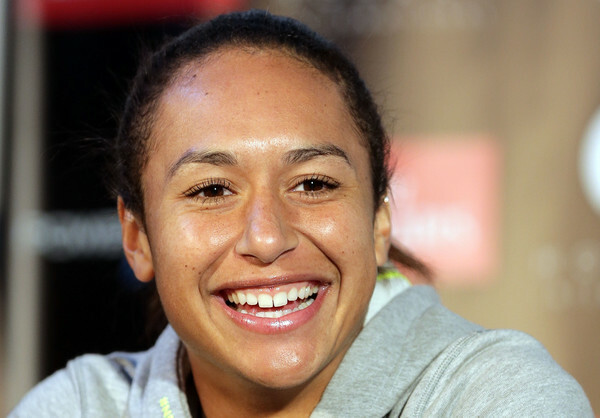 The stars of the WTA received little time to rest as the 2015 season is already upon them. Not one. Not two. But three WTA sanctioned events open this week with tournaments in Brisbane, Auckland and Shenzhen. That doesn’t even count the ITF team event, the Hopman Cup, in Perth. Individual Hopman Cup results don’t count toward official rankings, but given the strength of the field, it’s a good place to measure progress heading into 2015. After a tremendous season through Wimbledon, Eugenie Bouchard kind of ran out of gas a little down the stretch. It’ll be very interesting to see how she plays at Hopman Cup. One of the most anticipated matches…possibly the most anticipated match…is when Canada takes on the United States and Genie goes up against Serena Williams in women’s singles. Speaking of Serena, she chose to play Hopman Cup rather than defend her title in Brisbane, where she is the two-time reigning champion. But not to fear, the tournament will still have a terrific line-up headed by the reigning Roland Garros champion, Maria Sharapova. It won’t be easy for Masha, as she gets the very dangerous, big serving Sabine Lisicki in the first round. Sabine can beat anybody on a given day. Ana Ivanovic is the 2nd seed here. I’d love to see Masha vs Ana in the final. What interested me most about Masha’s pre-tourney interview is her mentioning that she won’t play another 10 years. At 27, she still has good seasons left, but clearly she has reached the point in a tennis life where she can see the end. Nobody beats the clock. So hopefully in the next two to four seasons, she can really start to rack up some more Majors and further bolster what is already a tremendous Hall of Fame resume. correction: I gave Sabine Lisicki a pass to beat qualifier Yaroslava Shvedova...oops...it'll be Masha vs Yaroslava for Sharapova's first match of 2015. Caroline Wozniacki had a season somewhat the opposite of Genie Bouchard. Sunshine was ok early, but terrific late. 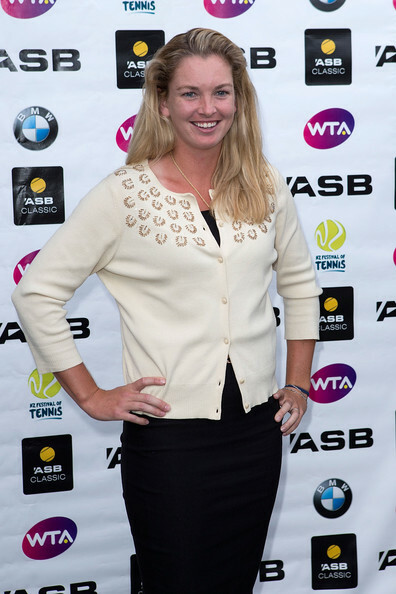 She will start her season in New Zealand as the top seed at the 2015 ASB Classic in Auckland. If she plays as she did in the second half of 2014, then lookout! This could be the year that she wins that elusive first Major…and maybe more than one. But there remains a lot of competition on the women’s tour. Besides Serena, Masha and Genie, look for Ana Ivanovic, Agnieszka Radwanska, Simona Halep and the super-talented Petra Kvitova to try to make some noise for themselves. Oh, and don’t forget Victoria Azarenka. If Vika can stay healthy, she has proven to be the only challenger to Serena among the top ladies so far. I can’t wait to see it all get started! Don't fear failure. — Not failure, but low aim, is the crime. In great attempts it is glorious even to fail. Last edited by bangkokbobby; 01-05-2015 at 01:42 AM. With the 2015 WTA season underway, let the parties begin! 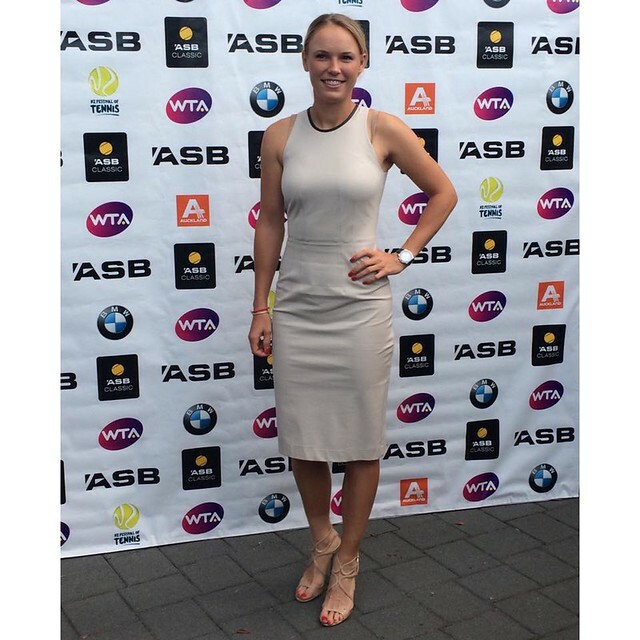 In Auckland, the players came out to shine at the 2015 ASB Classic Players Party. Headlined by Caroline Wozniacki, I’m also interested in seeing my fellow Americans get their season started, particularly Sloane Stephens and Coco Vandeweghe. Who is going to be the next American to step up and become a long-term fixture in the top 10? 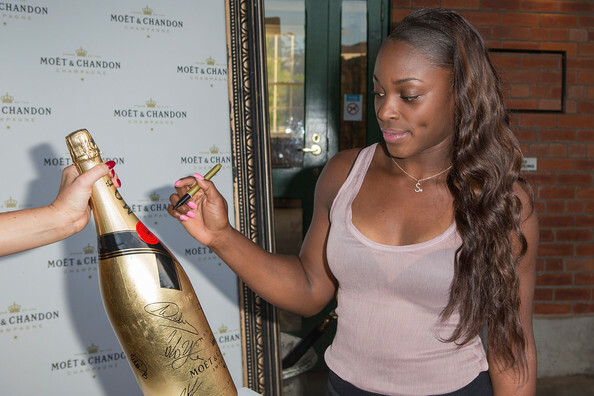 Will it be Sloane or Coco? Maybe the future is Madison Keys. 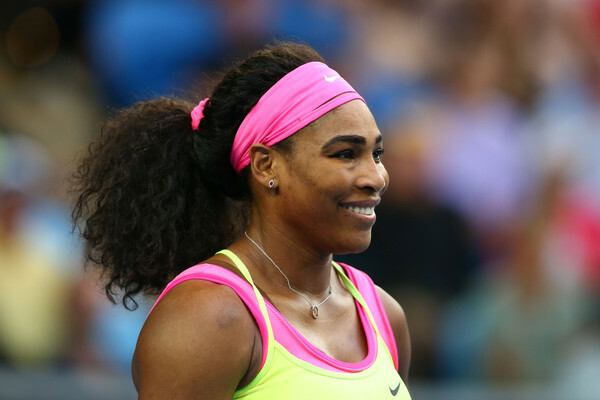 She is the only non-Williams sister in the top 30 representing the United States going into 2015. I am a big Keys fan, but I want to see a lot more Americans fighting for trophies and rankings points. Sloane showed a lot of promise a few years ago, so hopefully she will get things back on track this year. Coco has a lot of natural power and talent. But the top of the women’s game is so deep now. Great is not good enough. You have to be special. But those things can be hashed and rehashed as the season develops. For now, let’s party! 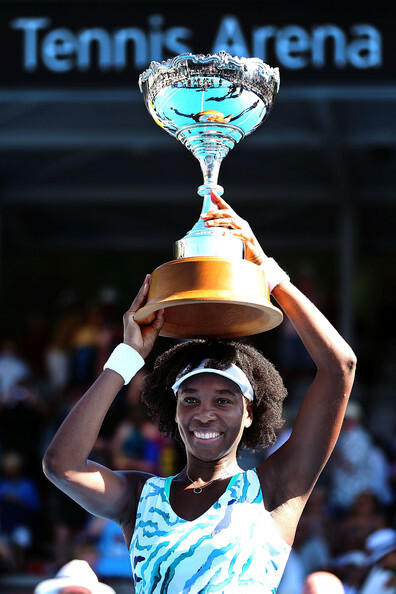 What a way to begin the 2015 WTA season! So much to talk about, so let’s get to it. 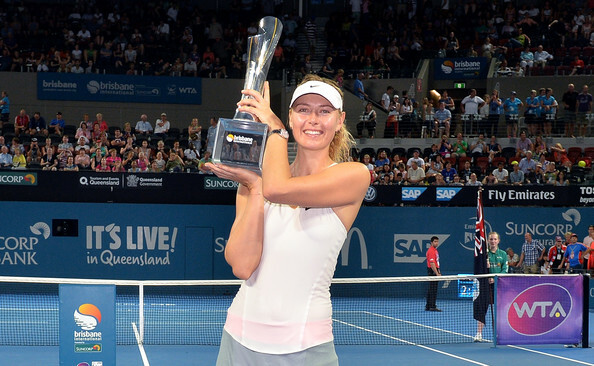 In the biggest event, the Premier-level 2015 Brisbane International, it was a dream final between top seed Maria Sharapova and 2nd seed Ana Ivanovic. These two fan favorites and former world #1s did not disappoint with an early year classic. Masha would emerge as the victor, 6-7 (4) 6-3 6-3. Ana showed a lot of heart coming back from 1-4 down and two set points against her at 4-5 to win the first set in a tiebreak. Still, Ivanovic couldn’t hold back a determined and mentally tough Masha. There were several momentum swings and breaks of serve in the final set but when the dust settled Sharapova had the victory. It’s Masha’s 34th WTA singles title and inches her within striking distance of recapturing the #1 ranking at the Australian Open, depending on various scenarios. In the two smaller WTA events, there were still big name rising to the top. 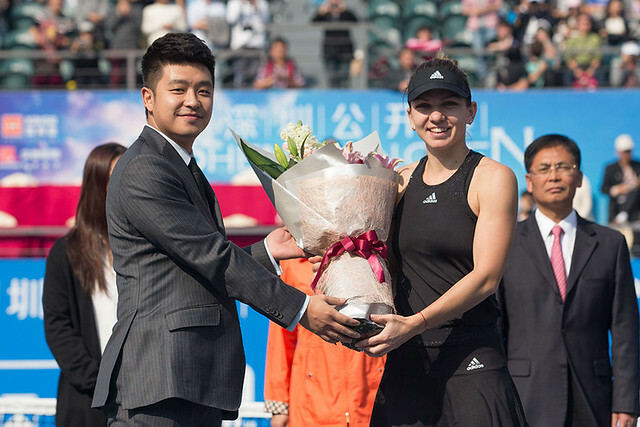 In Shenzhen, with host Li Na in attendance, Simona Halep captured her 9th career title at the 2015 Shenzhen Open, defeating Timea Bacsinszky 6-2 6-2. Even though Brisbane was the biggest event this week, I had my eye on Shenzhen as my top two favorites, Halep and Petra Kvitova were seeded 1 and 2. Unfortunately for Petra, she was upset in the semifinals by Bacsinszky. Although she made the semis and Timea has talent, that’s a bad loss for Petra. With she and Simona as the only two top 5 players in this event…heck, they were the only two top 20 players in this event…Kvitova really needed to at least make the final. But you just never know what Petra is going to show up from match to match…the unbeatable one or the very beatable one. But to be fair to Kvitova, Timea is on the rise having beaten Sharapova in Wuhan last year. And a lot of top players tend to get upset in the first couple of tournaments in a given year. In fact these first two weeks are basically a chance for players to get back into the swing of competition play before the Australian Open begins. So with that in mind, we should wait to see what happens with Petra in Melbourne. As for Simona, this continues the momentum she’s been building for the past two years. Coming off an appearance in the year-end 2014 WTA Finals, this could be a statement of more success to come. However, as I mentioned she and Petra were the only top 20 players in this singles draw, and Simona barely made it past Annika Beck in her first match. 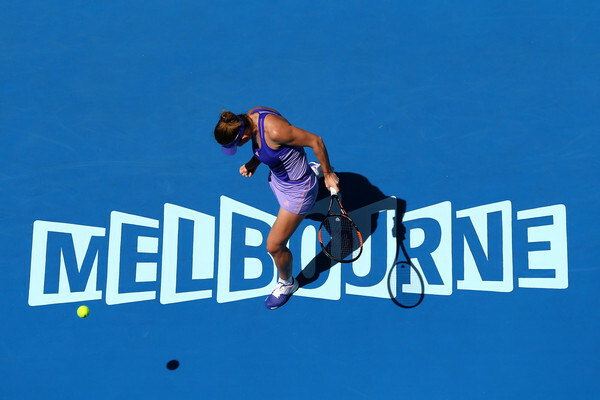 We’ll need to see more from Simona at Melbourne. Somebody who cannot be discounted as a contender in Melbourne is Venus Williams. When her health allows her to be, she is still a high level competitor. The only question is whether she can physically hold up for two weeks at a Major without a sub-par off day creeping in. If so, she can make some noise at the Australian Open. 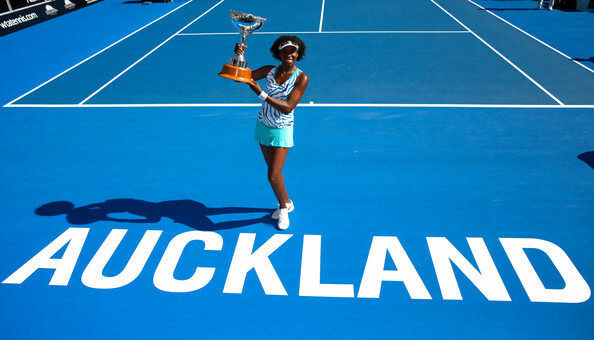 She certainly was on her game in New Zealand as she stormed back from a set down to take out top seed Caroline Wozniacki 2-6 6-3 6-3 to win the 2015 ASB Classic. With all due respect to 2nd seed Sara Errani, Caroline vs 3rd seed Venus was the dream final for this event. And like Masha and Ana at Brisbane, this clash of former world #1s Venus and Caro did not disappoint. 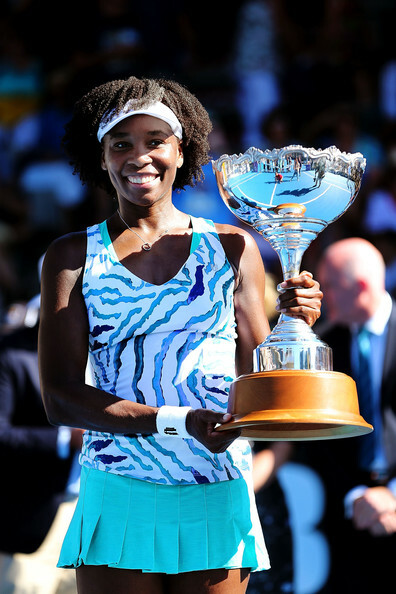 The win marks the 46th singles title in the surefire Hall of Fame career of Venus Williams. While sister Venus was victorious in Auckland, Serena Williams and John Isner (Team USA) fell to Agnieszka Radwanska and Jerzy Janowicz (Team Poland) at the 2015 Hopman Cup in Perth. 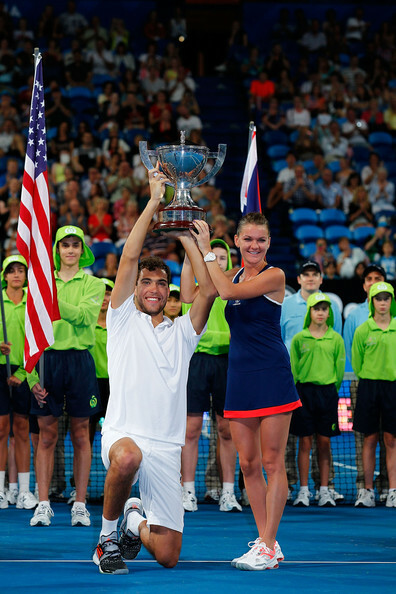 It marked Poland’s first ever Hopman Cup title and Aga was huge in securing the trophy. Janowicz fell in men’s singles to Isner, but Aga defeated Serena 6-4 6-7 (3) 6-1 in women’s singles and paired with Jerzy to take the mixed doubles over Serena and John, 7-5 6-3. This isn’t an official WTA event, so the singles results don’t count toward rankings, but any opportunity to get a win versus Serena is special. In fact, both Aga and Eugenie Bouchard beat Serena at Hopman Cup. But as I’ve said, it’s only the first week of the year. Let’s see what happens in Melbourne. I will say that I am very interested in seeing what Aga does in 2015 with the legendary Martina Navratilova as her coach. This is sure a nice way to begin. In 2014, Martina Hingis added to her Hall of Fame career by winning doubles titles with both Sabine Lisicki and Flavia Pennetta. She has started 2015 right where she left off last season. 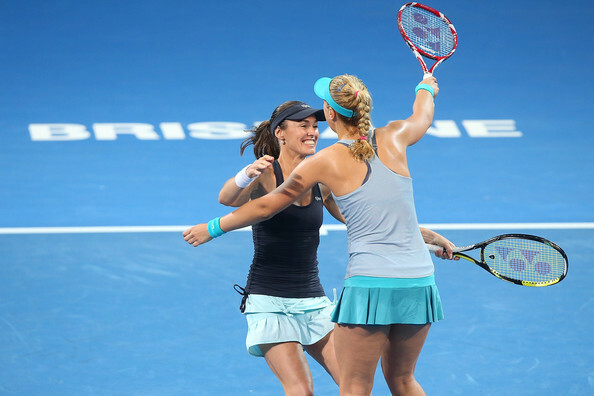 Hingis captured her 41st doubles title by teaming with Lisicki to win the 2015 Brisbane International. The unseeded duo bested 4th seeds Caroline Garcia and Katarina Srebotnik, 6-2 7-5. The Swiss Miss needs 2 more doubles titles to match the 43 career singles titles she already owns. 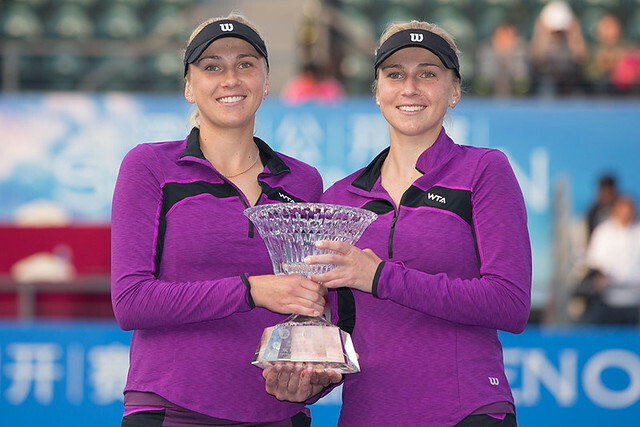 There have been a lot of sister acts on the WTA tour, but coming into 2015 only the Pliskova sisters (Karolina and Kristyna) had won titles on the WTA as a set of twins. Now they have company as in a battle of unseeded finalists Lyudmyla and Nadiia Kichenok took out Liang Chen and Wang Yafan 6-4 7-6 (6) to win the 2015 Shenzhen Open. Both the Pliskova twins and Kichenok twins are 22 years old. Perhaps this could grow into a budding rivalry the next year or so and beyond. 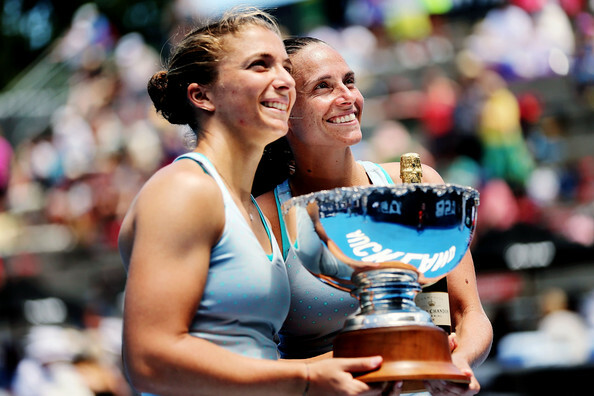 And, of course, I have to congratulate the best women’s doubles team in the world, Sara Errani and Roberta Vinci, for finishing on top at the 2015 ASB Classic in Auckland. Their names have become synonymous with doubles greatness. This title marks their 22nd tournament championship as a team as they remain ranked #1 in the world. 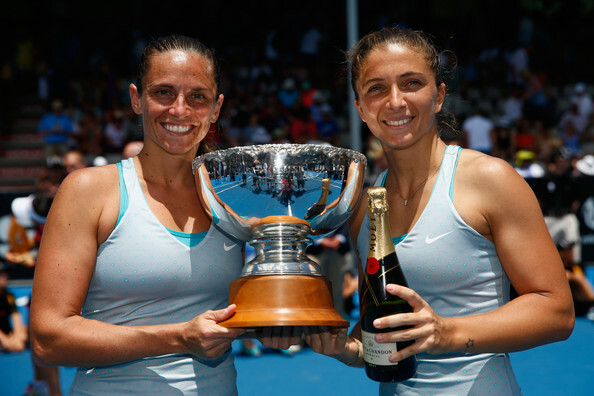 Errani and Vinci completed the Career Grand Slam with the title at Wimbledon 2014 and will go into Melbourne looking for their third straight Australian Open championship. Although there are WTA events in Sydney and Hobart this week, much of the attention of the tennis world is focused on looking ahead to the first Major of the season next week, the Australian Open. 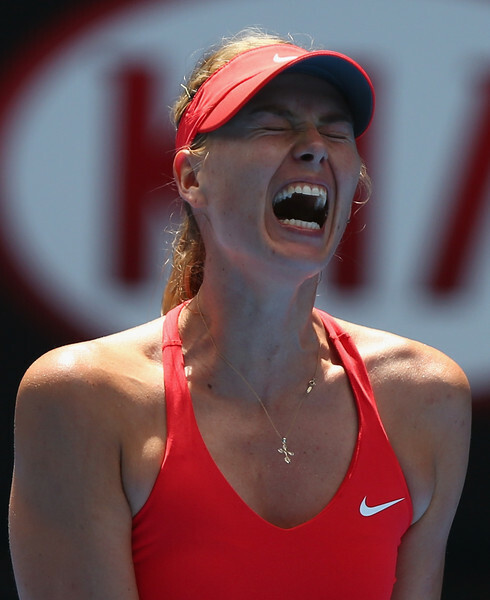 One of the top players going into Melbourne will be Maria Sharapova. There are a lot of storylines in play for Masha. With her win at Brisbane last week, she has a mathematical shot of usurping the world #1 ranking from Serena Williams depending on how each does at the tennis fortnight. Sharapova won the 2008 Australian Open (one of her 5 Major singles titles), has reached the final 3 times and the semifinals 6 times. On paper, her 4th round exit last year was below expectations. However, consider that the loss was to Dominika Cibulkova, who went on the reach the final, losing to Li Na, and who also play extremely well to begin the season. Domi was really on a hot streak early in 2014. Masha’s win at Roland Garros 2014 marked the first time she has won the same Major twice. I’m sure she’d like to do the same with the Australian Open in a few Saturdays from now. Here is a video of her first practice hit on Rod Laver Arena and some photos from her photoshoot with the Ball Kids and Australian player Thanasi Kokkinakis, as well as a few photos from a Tag Heuer event/party in Melbourne. 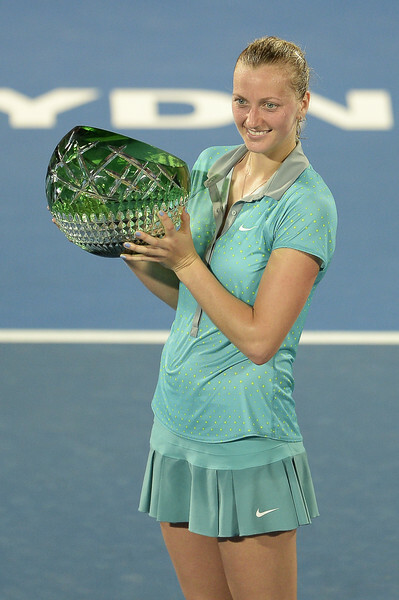 I have mixed emotions about Petra Kvitova winning her 15th WTA singles title at the 2015 Apia International Sydney. As one of my co-top favorites (along with Simona Halep) to watch on tour, of course I always want to see Petra play well and win. And she had to do just that to overcome fellow Czech player Karolina Pliskova in the Sydney final, 7-6 (5) 7-6 (6). Make no mistake. Ye top 10 players beware. Karolina Pliskova cometh. Barring injury or some unforeseen burn-out, Karolina is turning into a force on tour. She has it all. She’s tall, strong, has great technique, a devastating serve and fears nobody. She had Petra on the ropes early, even serving for the set up a break at 5-4 in the first set. This was a day after rolling through the tough Angelique Kerber 3 and 2. But Kvitova isn’t a 2-time Wimbledon champion for nothing. She raised her game, broke back and gutted out two close tiebreaks. What worries me about Petra’s win is her endurance for the Australian Open. That is the big prize. Kvitova sometimes gets a little winded when she plays a lot of matches. After winning Wuhan last year and following that up immediately with a run to the final at Beijing, she had nothing left in the gas tank in the championship match against Maria Sharapova. What you see a lot in tournaments before a Major is the top players showing up, playing one or two matches and then pulling out with some mysterious illness or injury. I thought Petra was looking good on hard courts last year, but she made a run to winning the championship at the Connecticut Open right before the US Open. I think that might have taken something out of her legs. But…Petra has stated in this past off-season that she wants the #1 ranking. So maybe her training and mental approach will be different. Maybe she’ll reach deep down in Melbourne and fight through the moments of exhaustion. Maybe this is the year she puts it all together. 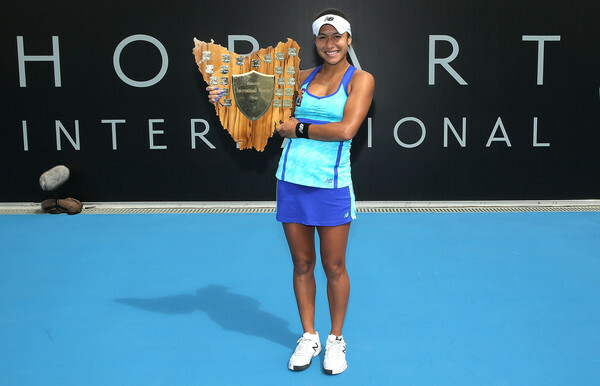 My emotions were also mixed when it came to the final of the 2015 Hobart International. I am big fan of British player Heather Watson, who defeated Madison Brengle 6-4 6-3 in the final. To see her win her 2nd WTA singles title was very thrilling. The rising 22-year old from Guernsey played fantastic tennis all week, not dropping a set and going through tough players like Roberta Vinci and…well…here’s the thing. I loved seeing Heather win…but she also went through three American players (Sloane Stephens, Alison Riske and Madison Brengle) to get the job done. I’m definitely looking for the next generation of American tennis players to step up, hopefully this year. With surprise finalist Madison Brengle (not to be confused with up and coming American Madison Keys), I was torn between rooting for Heather or rooting for Madison. It’s hard to say at this point without seeing more from Brengle whether she will have another opportunity to capture her first WTA title. Obviously, after losing this final I hope she gets another chance. Having said all that, I am still absolutely delighted to see Heather win. It’s been a real joy following her career. I hope she gets title #3 in the near future. 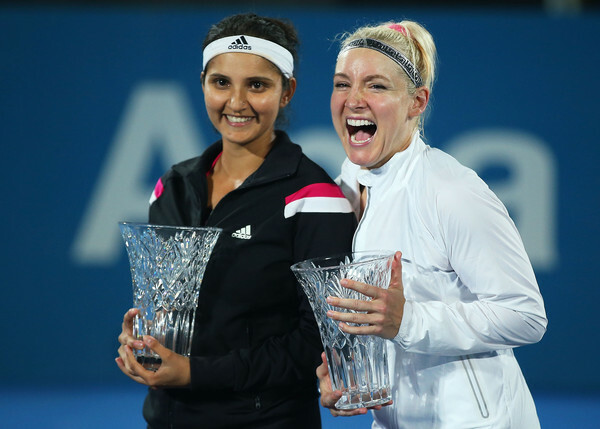 Speaking of American winners, the doubles final of the 2015 Apia International Sydney featured 3 Americans as Bethanie Mattek-Sands teamed with India’s Sania Mirza to take down the top seeded American duo of Raquel Kops-Jones and Abigail Spears, 6-3 6-3. It was the same score that Bethanie and Sania had when they ousted the big name duo of Martina Hingis and Flavia Pennetta in the quarterfinals. 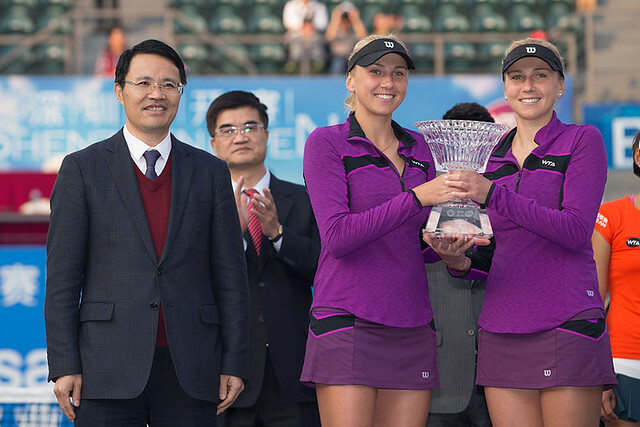 For Bethanie, the win marks her 13th WTA doubles title and the 5th when teamed with Mirza. It was the very impressive 23rd doubles title for Mirza. Meanwhile, Kiki Bertens and Johanna Larsson were the champions at the 2015 Hobart International. It was a wide open draw after the top 3 seeded teams all were gone after round one. So in that sense it was a bit of a surprise title. But the bottom line is they earned it. For Kiki, it’s her first WTA doubles title while being the 3rd for Larsson. I definitely have 23-year old Kiki Bertens on my radar. I think she has the potential to do some very good things on tour. We’ll see how she develops over the next couple of years, but I can envision her winning many titles in her career. Coming off a title at the 2015 Brisbane International, there’s a lot in play for Maria Sharapova as she starts her campaign at the 2015 Australian Open. 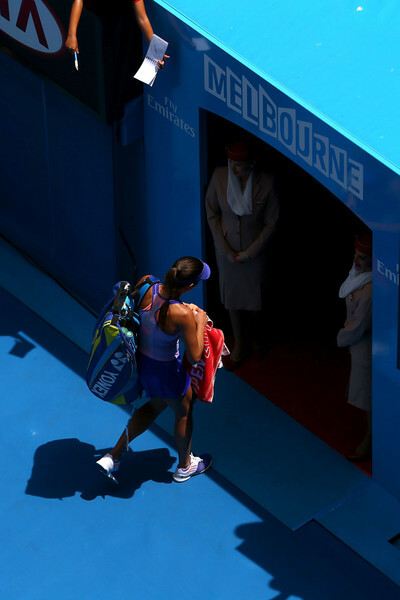 She’ll be looking for her 6th career Major and 2nd trophy in Melbourne. Depending on certain scenarios, she could even retake the world #1 ranking. In fact, Simona Halep and Petra Kvitova also have long shot chances to grab the #1 ranking also, but the more likely chance belongs to Masha. Unless, of course, they all get upset and Serena Williams cruises to the title. Last year, Ana Ivanovic took out Serena in the 4th round. If Ana can get on a roll, she has the big serve and huge forehand to make noise on the Melbourne hard courts. And let’s not forget about Eugenie Bouchard, who was probably the best player last year in the Majors who didn’t win one. It will be interesting to see how she follows up last year’s breakout season. 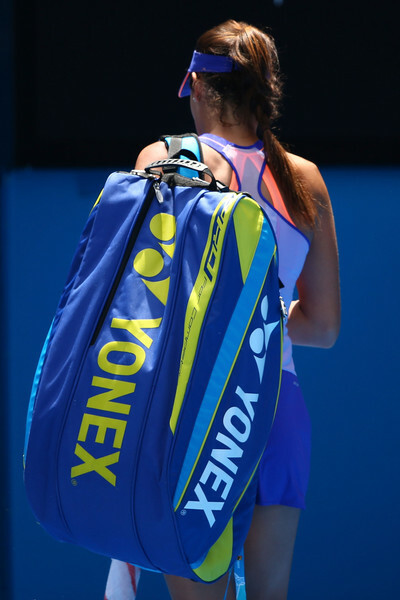 It was a bloody Monday on the women’s singles side of the 2015 Australian Open on day 1. Seeds were falling all over the place. But through it all, two possible contenders made their way through as Simona Halep and Maria Sharapova both advanced in straight sets. The Romanian Halep is looking to build on terrific years in 2013 and 2014 by winning her first Major championship while Masha is seeking her 6th Major and 2nd Australian Open title. Exiting far earlier than expected were two top 10 seeds, #5 Ana Ivanovic and #9 Angelique Kerber. Ana was in top form in the first set, winning 6-1 against Lucie Hradecka. But after that, it all went south. 10 double faults and 30 unforced errors conspired to sink the former world #1. She had a terrifice 2014 outside of the Majors, winning 4 titles. 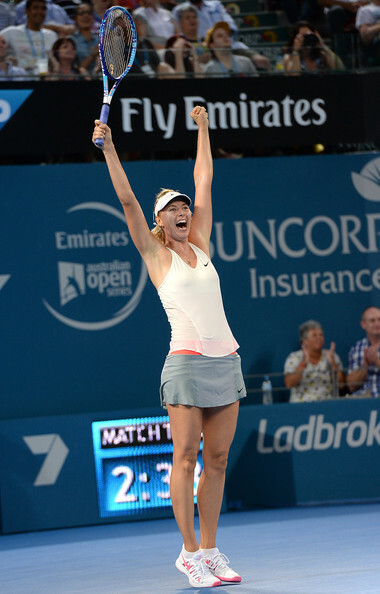 She was runner-up at Brisbane a few weeks ago to Sharapova. None of that mattered on day 1. All congratulations to Lucie, but it’s a big blow to lose a fan favorite like Ana so quickly. If you were following the 2015 Australian Open on day 2, you might find my blog title to be a bit of a contradiction. Victoria Azarenka and Caroline Wozniacki both opened their campaigns down under with straight set wins…over young Americans. Yet I say American women found success. Luckily, for fans of American tennis, Taylor Townsend and Sloane Stephens were not the only women from the United States in action on day 2. Taylor is going to be fine. Her game is developing and she’s made Caroline work in their last two match-ups. I have to say something about Sloane, though. I think the media has come down a little too hard on her following this loss to Vika. She was facing a 2-time Australian Open champion, who was only unseeded due to injury. That Sloane lost 3 and 2 in the first round has to have an asterisk based on the circumstance of whom she was playing. I know this is not the first opening match exit for Sloane in big tournaments but on this day I still have to give her a break. I don’t know if Vika has the stamina to make it through a Major yet. She is still working her way back. I wouldn’t be surprised if she lost her next match or won the whole tournament. 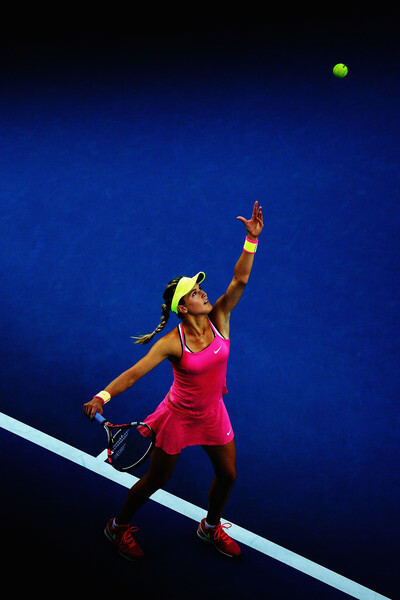 Vika has the game to win it all…if her fitness and timing are back where they need to be. Overall, the American women gave a great effort on day 2, even Taylor and Sloane…they were just up against the dynamic duo of Wozniacki and Azarenka. But the two Madisons, Madison Keys and Madison Brengle, both registered wins for the Americans. Brengle is on an early season run. She made the final of Hobart last week. Now she has sent the #13 seed Andrea Petkovic crashing out of the draw. Former NCAA singles and doubles champion Nicole Gibbs also was an American winner down under, as was Irina Falconi. Falconi made some noise a few years ago at the US Open. Taking out Kaia Kanepi in Melbourne is arguably Falconi’s biggest win since then. Lauren Davis ousted Alexandra Krunic, who made a deep run last year in New York. Coco Vandeweghe beat former Roland Garros champion Francesca Schiavone. Vandeweghe, Davis, Gibbs, and Davis are barely into their 20s, all 23 or younger. Townsend and Keys are still teenagers. Brengle is the oldest of the group at 24. That’s is, oldest of the Americans I have mentioned so far. There were two other American winners on day 2. Maybe you’ve heard of them…Serena and Venus Williams. But as a whole, the young American women look like they will be a force in the near future when the Williams sisters step aside. Watching Maria Sharapova come back from two match points down made me think of Novak Djokovic being down two match points against Roger Federer in the semifinals of the 2011 US Open and unleashing a devil-may-care all out forehand return that was either going to keep him in the match or end his tournament. Nole made it, saved another match point, beat Federer and won the US Open. Masha is made of the same tough stuff. Maybe even moreso. As she was down match point on two occassions against unheralded Alexandra Panova, Sharapova ripped shots and went for the lines in a way you don’t see players do. Even Chris Evert, who was calling the match for ESPN, was amazed that Masha was hitting all out and going for lines in such a critical, no mistakes allowed point of the match. But Sharapova hit those lines four times when there was no margin for error and turned away a spirited upset attempt by Panova, winning 6-1 4-6 7-5. There have been better players than Masha in the history of women’s tennis, but few have been as mentally tough, determined…and to be honest, stubborn. However, I mean stubborn in the most positive way I can mean it. She will never quit, barring an injury. She doesn’t back down. She’s going to win or lose her way. If you beat her, so be it. Her heart and guts were on clear display on day 3. Oh…and one more thing. Don’t forget that last year’s women’s champion, Li Na, was also down match point early in the tournament to Lucie Safarova. 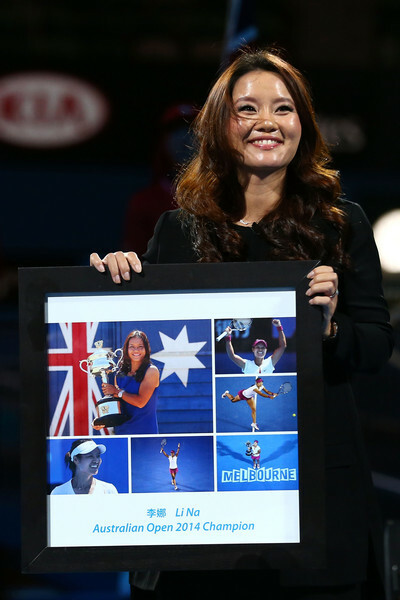 Li Na fought off that match point and ended up with the champion’s trophy. Will Masha repeat that history this year? 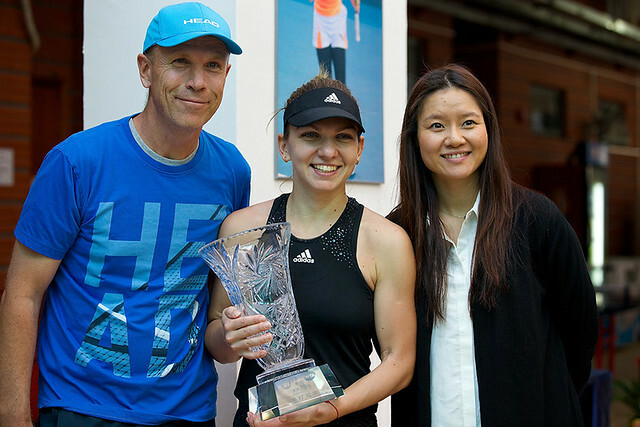 I am always happy to see Simona Halep win. She’s one of my top two co-favorite players, along with Petra Kvitova. But I was especially pleased to see her easily dispatch Jarmila Gajdosova, 6-2 6-2. I heard so many pundits preview this match as though it were an upset waiting to happen. I like Jarmila, but what has she done that anybody would so disrespect the kind of player Simona is? Maybe it was just the home crowd thing. When I watched Halep’s first round match it seemed a lot of time was spent by announcers talking about all the things she lacked as a player. They must have forgotten that Simona took Sharapova to the edge in the Roland Garros final, made the Wimbledon semifinals and made the WTA Finals championship match…oh, and she’s won 9 tournaments since June 2013, including earlier this month in Shenzhen. Don’t get me wrong, anybody can lose at any time. Simona could lose her next match. Anybody could. It’s just that the idea that Jarmila would push Halep and maybe pull the upset was given a bit more credence that it deserved. Instead, Simona rolled easily. I am not surprised at all. Last edited by bangkokbobby; 01-21-2015 at 11:07 PM.